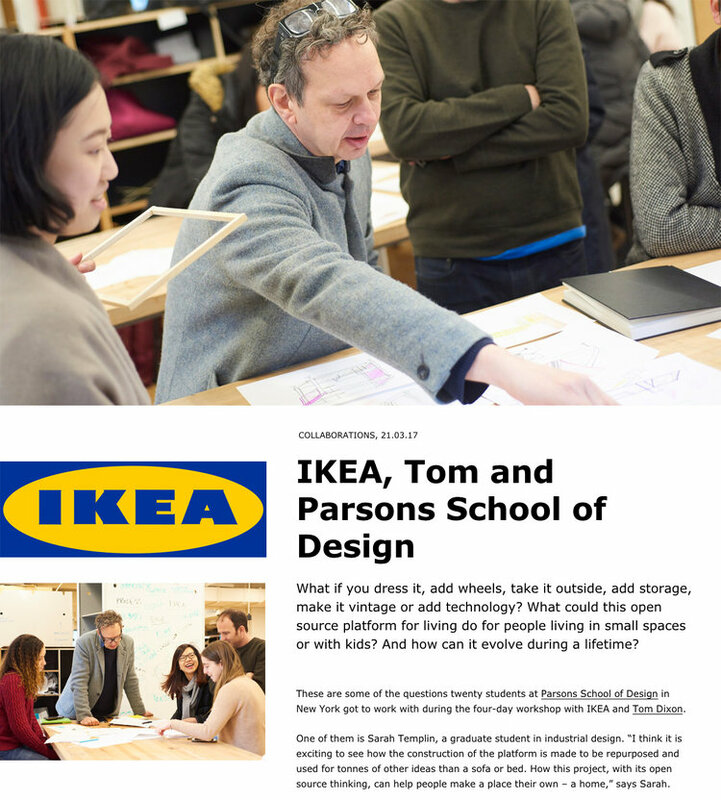 In March 2017, I participated in a four-day workshop with Tom Dixon and IKEA to adapt their product Delaktig for new uses. Featured in the New York Times and in IKEA.Today in March 2017. For Roche Bobois’ Seating for Dining competition with Parsons, Danielle Connelly and I collaborated on a chair design that combined the most soft and feminine qualities of textiles with the structural and formal qualities of architecture. Featured on Roche Bobois' instagram feed in December 2017. An article in Fast Company about the 2013 lookbook for Radica Textiles. 2013. A 6-page spread on Radica Textiles, my process and background.